Since Jimi Hendrix would have turned 70 today, it seems like a good time to reprise one of our favorite documents from the rock star’s U.S. Army personnel file. Hendrix was booted from the armed services in 1962 after 13 desultory months as a private stationed in Fort Campbell, Kentucky. In a May 1962 statement recommending that “Hendrix be eliminated from the service…as expeditious as possible,” Army Captain Gilbert Batchman delivered a withering assessment of the young soldier. Hendrix, Batchman noted, was poorly motivated, had no regards for regulations, ignored supervisors, and was a “habitual offender” when in came to nightly bed checks. 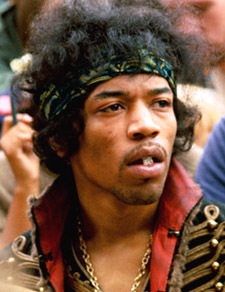 Even worse, Army brass suspected that Hendrix “was taking dope,” though a medical exam proved negative. And then there was that guitar. Oh, and Hendrix was also once “apprehended masturbating" in a latrine, according to the Army records.